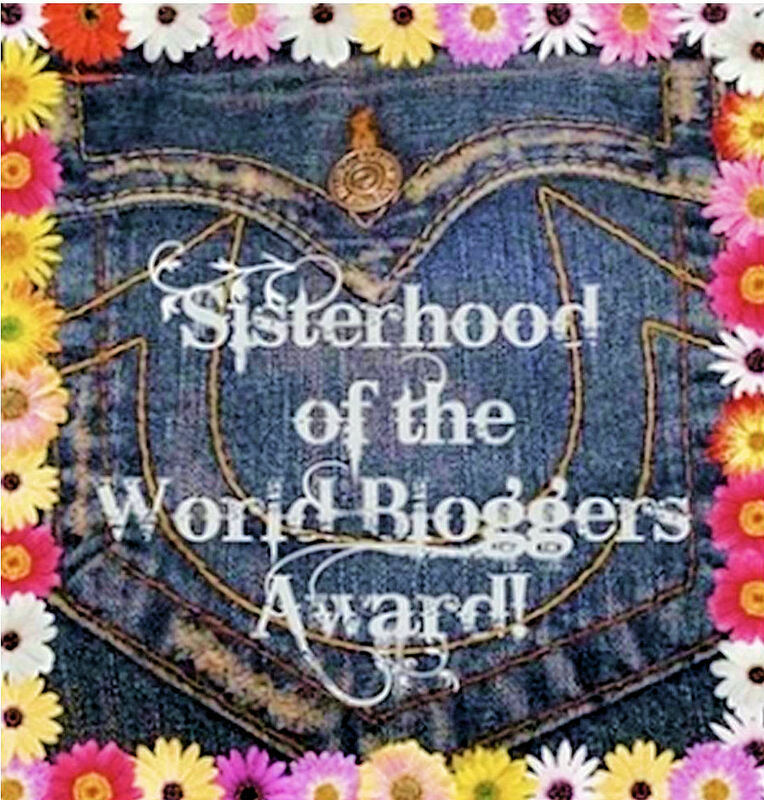 The idea behind the Sisterhood of the World Bloggers Award is to recognize the unique voices of women bloggers around the world. How cool is that? Women coming together to make the world a better place is so important to me. We are all stronger together. I am so honored to be nominated for an award that is grounded in girl power! I was nominated by Maitreyi at glamorpolish. She writes a fun beauty blog, with her personality shining through. I like her honesty and the way she writes. I don’t follow a ton of beauty blogs, so hers is special 🙂 However, I am now starting to think I need to follow more. I will start with the blogs in her post! Here are the rules of the award, should any of my nominees choose to accept! How do you make yourself motivated when you are feeling low? I just force myself to do something. Once I start, I tend to get wrapped up in it and it’s easier to move on. My go to is minimalizing- going through an area of my house that could be cleaned out. I know that’s nuts, but it works for me. Bronzer, for sure. I am very pale, but also have red cheeks. I am mostly German with some Irish, but I look more Irish than anything else. The singer whom you just love to listen all the time? Taylor Swift! I know the haters are gonna hate, but I love her anyway. She never fails to cheer me up. Sunset. I love to see both, but if I’m up early enough to see the sunrise, I’m probably grumpy about it. What is your favourite genre in movies? The winners, that I think are just fabulous. Go check them out and bask in their awesomeness! Banishing Loans – I love her posts about budgets and getting out of debt. I wish we all could be more honest about money. The Vintage Vista – healthy living, minimalism, and a cute kitty! A+ Housewife – I adore her cleaning schedule. Is that weird, that I obsess over things like this? Chronicles of a Single Mom in the South – the name sums it up 🙂 cool lifestyle blog, I like to read about her daily life. Is there something you’re putting off doing that you could start today? If the average human life span was 50 years, how would you live your life differently? OR If you had five more years to live, how would you live your life differently? If you had to move to a new state or country, where would you move and why? If you see a dog running around alone by the road, do you stop to help the dog? Would you want to be famous and rich, knowing that you would lose all of your privacy? q. If the average human life span was 50 years, how would you live your life differently? Well, that’s depressing! I don’t want you to be dead! It’s kind of funny… I never really felt like age applied to me. So I guess my real answer would be that it wouldn’t have made any real difference to me. I feel the same way, but I’m starting to feel like I need to live my life in a more purposeful fashion. I’m starting to feel like a might need to be a grown-up at some point! I just want the good parts… like owning a house. But I bet when I do, it won’t look like a grown-up lives there! The whole idea scares me. I’m gonna be responsible for a whole house?! Right. It’s so much work and so much money! The part that scares me is the debt. I avoid debt as if it could kill me. I’ve never even had a auto loan, and I’m gonna have a mortgage? I’m sure I’m not grown-up enough for THAT. Owning a home is a blessing but a NEVER ending project and a good finical investment . Thinking of Jill’s question is there something you’re putting off doing that you could start today? Yes, I should start preparing my plant beds (gardening is only three weeks away – yikes), but instead I am sitting here typing and thinking of taking a nap. I also don’t think a home has to look like adult (what does an adult home look like?). My partner and I are both professionals, but entering our home the first thing your eye catches is a vibrant orange wall and a huge Star Wars poster in our entry way (but it is in a beautiful frame so you could say that makes us adults… lol). Yesterday I was going to say that I could do my taxes today, but then Grumpy nagged me about it, so I’m determined to wait until at least next weekend. lol! That’s hilarious, I love it. That’s a great point about what is an adult home? I think it can be anything, and I love bold accent walls! Aww you forgot Jilly Bean! Or Jeel. Lol. Cool award! Great post! Thanks for the nomination, it’s fun to learn more about each other like this 🙂 you have come up with such great questions, I’ll have to have a good think about these ones. And I agree with you about T-Swift. She is the best! 🙂 thank you! I’m glad you’re with me on the taylor topic. Very important! Congratulations! I love the question jeans or skirts! My answer is dresses- I have 35 and counting. They are more comfortable and more forgiving of figure flaws; and easy to take from day to night. 35?! Dang, you must look super cute all of the time 🙂 I want to shop your closet! I was going to answer the 50 year question…. but New Pollyanna beat me to the answer! LOL You ought to revise the question as many of us will never see 50 again. Have fun with your Sisterhood of the World Bloggers Award. Congrats. Well, what’s funny is I saw that question somewhere else, and it originally was 40. I did revise it, lol… you’re right. I should revise it again. Thank you so much! I love this, it’s such a great idea! I’m definitely bookmarking this so I can do my post once I get caught up on homework. 🙂 I’m glad you like it. Dumb homework is always getting in the way!